I certainly think of H.G. Wells when I think of Time Travel. Though not all the movies that cover Time Travel have a Victorian or steampunk feel, they would never have existed had it not been for Wells. So, here is a short list of my favorites movie of this kind. The Time Machine-Made in 1960 and starring Rod Taylor. The utter coolness of the very Victorian looking machine is enough to win me over. What an incredible design and what a great version of the original story. 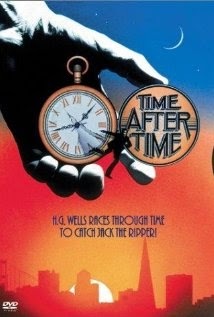 Time After Time-Made in 1979 and starring Malcolm McDowell. I did not actually see this one until about a year ago. Sorry I wasted all those years not watching this because the movie is really well done and it has a clever twist at the end. I also find the design of the time machine to be very intriguing. And the main character, Malcolm McDowell actually plays H.G. Wells! 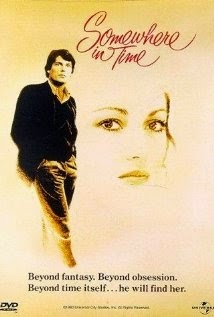 Somewhere In Time-Starring Christopher Reeve and Jane Seymour and made in 1980. This is one of my all time favorite movies period. It's unusual in that there is no machine that sends Reeve back in time, but he does go back using self hypnosis. Jane Seymour does an incredible job as Elise McKenna, an actress that was born 100 years before Reeve's character. The Time Machine 2002- Starring Guy Pierce. A remake of the 1960 classic and again, what a cool time machine they created for the movie. A lot of wonderful special effects in the movie. One of my favorite scenes is when the moon splits apart. That scene gave me nightmares for a long time. I must admit that I've not seen the movie in a long time, so I don't recall just how good it was. I just know for the time machine device itself, I was pretty thrilled. Safety Not Guaranteed- Made in 2012 and starring Aubrey Plaza and Mark Duplass. This is a comedy but it has the coolest ending, I never saw it coming. Odd ball for sure, and not in any way steampunk, but good story regardless. 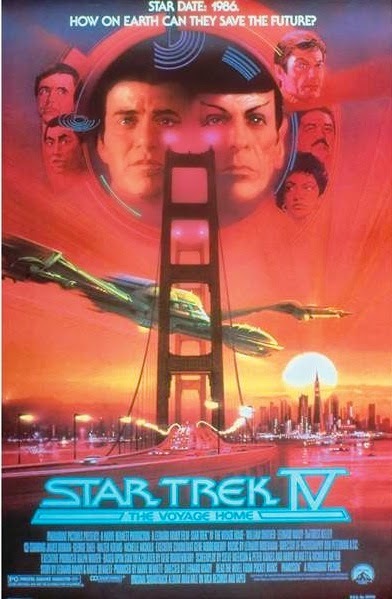 Star Trek The Voyage Home-Probably the best of the Star Trek movies, at least after Wrath of Khan, this movie sends the crew of the Enterprise back to the 20th Century to find Humpback Whales. It was very well done and very humorous. Speaking of Star Trek, one of the all time BEST episodes of the series just so happened to be about time travel, it was called City on the Edge of Forever. The story was written by Harlan Ellison, who also had something to do with the next choice below. The Terminator Movies-They all deal with Time Travel and the first and second movies were very good. Apparently, the movie concept was stolen from Harlan Ellison. James Cameron admitted that he swiped the idea for the movie from two Ellison stories and when Ellison found out he sued. Good movies regardless of their origin. 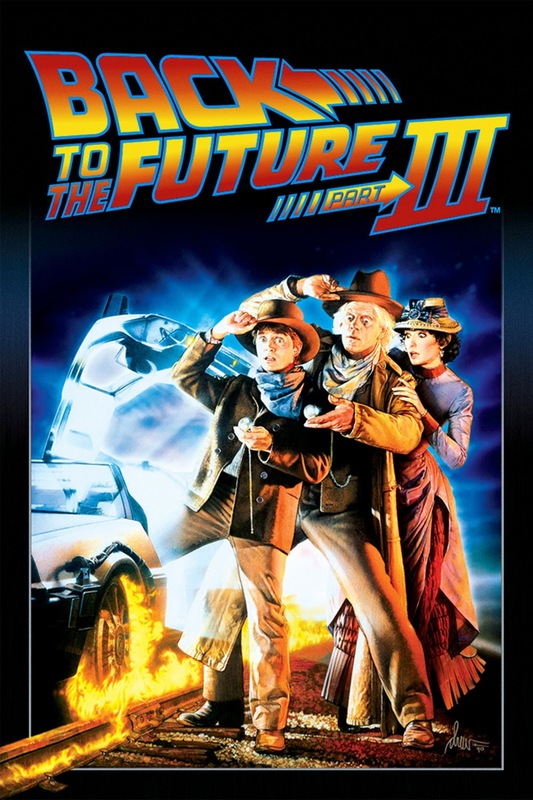 Back to the Future-I almost forget these are time travel movies because they are so much fun. And the third one definitely has more of a steampunk feel because they go back to the wild west. There are also two movies that might not be considered time travel movies, but in my mind they are. One is the original Planet of the Apes with Charlton Heston. He is from the 20th Century and ends up far far into the future. So however you look at it, that's traveling through time. The other movie, is Charles Dicken's A Christmas Carol, starring Alastair Sim made in 1951. Though these three Ghostly visits could be seen as dreams, they could also be interpreted as traveling back and forth through time. Mr. Dicken's was just ahead of the curve on this one. By the way, forget ALL the other versions of the movie, the best by far is the Alastair Sim version. So those are some of my favorite Time Travel movies. I'm sure you have some of your own. Please feel free to put your favs in the comments below. I'm always up for checking out a movie I've not seen before. That’s good movie list, Dean! Those stories that talk about time travel are very interesting, though. It makes you think how it is, or how it will be like if you can really race through time. You'll never run out of ideas, because there are just so many possibilities! But then again, it also makes you realize that it’s way better to wait and see what time has in store for you, than go beyond it.